The flights at Delhi airport could not take off from 7:30 am to 9:30 am due to heavy fog. 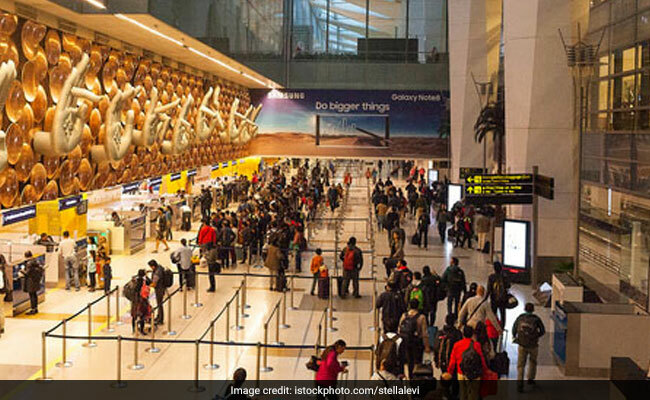 Three flights were diverted from Delhi aiport due to bad weather. Departures at the Delhi airport have resumed after they were put on hold this morning due to bad weather. Thick fog during 7:30 am to 9:30 am caused low visibility and led to delay in the departure. "In this two-hour period, arrivals were operating as usual. The departures resumed at around 9.30 am when the visibility became better," a source was quoted as saying by news agency PTI. Eight flights were diverted during the two hours due to pilot non-compliance, the source said. Flight carrier Vistara also tweeted a weather update, saying, "Departures have now resumed from DEL, after being held up for last 2 hours and 30 mins due to fog. Arrivals were however continuing during the time, although with delays." The minimum visibility required for take off is 125 metres. The Palam observatory recorded visibility at 50 metres at 8.30 am while at the Safdarjung observatory, it was recorded at 350 metres. Dense fog conditions have also affected over 12 trains due to low visibility conditions. The trains that have been delayed are Purushottam Express, Brahmaputra Express, Farakka Express and Poorva Express, informed Public Relations Officer of Northern Railways. According to the the Indian Meteorological Department, the minimum temperature settled at 6.7 degrees Celsius, a notch below the season's average. The humidity level was recorded at 100 per cent. The weather office has predicted clear skies throughout the day and the maximum temperature is expected to settle around 23 degrees Celsius. Shallow to moderate fog would continue to linger in the national capital today and tomorrow with minimum temperature remaining in the range of four to five degree Celsius, weather department said. Light rain or drizzle are expected on January 5 and 6 with cloudy skies, it added. "Dense to very dense fog observed at isolated places over Punjab and north Rajasthan; dense fog at isolated places over Haryana, Chandigarh and Delhi, Uttar Pradesh and Bihar," the weather forecaster said in its bulletin.